To make this shawl, I’ve used Tahki Alden yarn in dark teal. It’s not a very adventurous name for a yarn color, but trust me when I say that this is the prettiest color of yarn I have ever used. The deep blue and green tones remind me of the ocean, and the rich darkness of the color is perfect for the kraken! The stitch used for the main part of the shawl is filet crochet. It may look intimidating, but it’s incredibly easy to learn! In this pattern, I’ve included all kinds of notes, charts/diagrams, and even a link to a video tutorial on the filet crochet technique. If you can do a chain stitch and a double crochet stitch, then you can make this shawl! At this time, the Kraken Shawl pattern will not be released as a free pattern on this website. However, it is available for purchase from my Etsy shop. 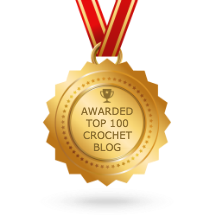 Each pattern purchase you make helps keep Two Hearts Crochet stay up and active on the web. If you choose to purchase this pattern, please know that your support means so much to me! I know you’re going to love this Kraken Shawl pattern. So thank you for your purchase! And of course, please contact me if you have any questions. Click here to purchase the Kraken Shawl pattern. 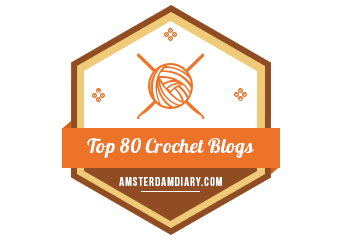 Pingback: Celebrating National Crochet Month…with a Giveaway! Nach englischen Nähanleitungen kann ich nähen, aber Häkel- und Strickanleitungen haben mich da wirklich schon verzweifeln lassen. I’ve made two so far, one shawl and one antimacassar. Can you bye the yarn in europe? Hi Majbritt–I’m not sure if this particular yarn is available for purchase in Europe, but any wool blend in DK-weight would work just fine! I know that Wool Warehouse has a wonderful selection of DK yarns on their website. Have you checked them out yet? Having a little trouble with the border, not sure i do understand how? Alex, This might be an off the wall question but I purchased your pattern and wondered whether you think I could work this up in a cotton or cotton blend yarn? I live in Florida and a wool shawl isn’t often feasible to wear!